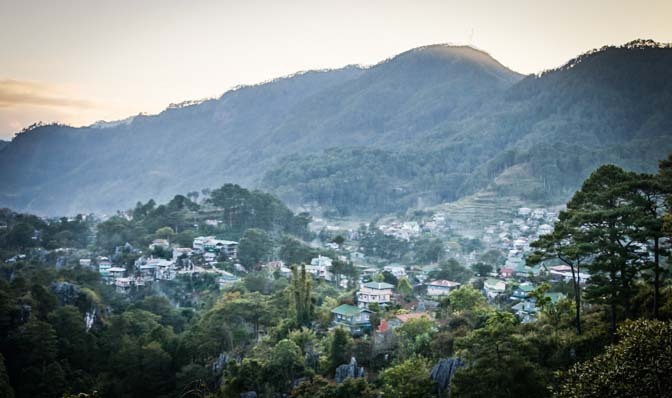 Sagada is a quaint little town in the mountain province of Luzon, Philippines. I instantly fell in love with this tucked away village, where looking around, all you see is lush forest and beautiful mountains. The laid back atmosphere and the simplicity of life was intoxicating. It was a journey to finally arrive here, but once we did, it was a challenge to leave. After checking into our lodge, we set off on a hike, following a very off-scale map and little foot paths into the wilderness. The paths eventually led us to an incredible underground river, past rice terraces, a small coffee farm, and eventually to the hanging coffins of Echo Valley. 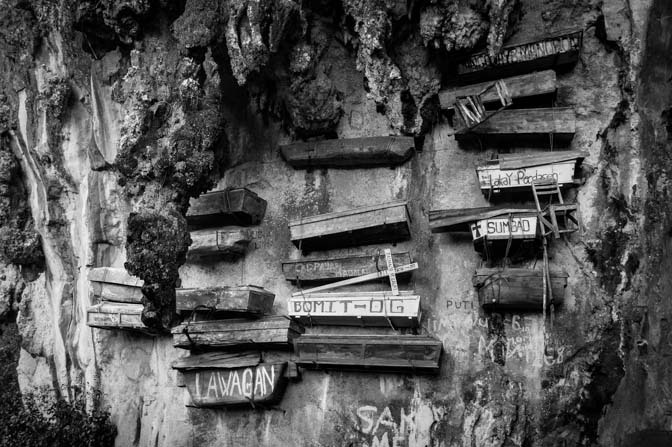 We later found out that one of the reasons they chose to hang the coffins is due to a belief that the higher the body is laid on the cliffs, the closer the person is to heaven. Hanging coffins of Echo Valley. The days following were spent exploring more of the village and getting lost on long hiking endeavors. 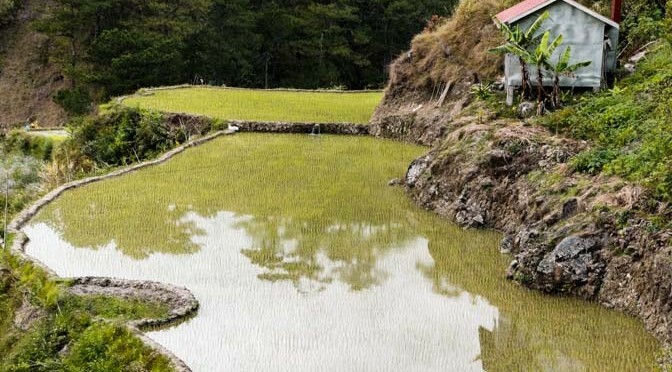 We found endless rice terraces built into the mountain sides, waterfalls, swimming holes, and caves hidden deep inside the mountain base. 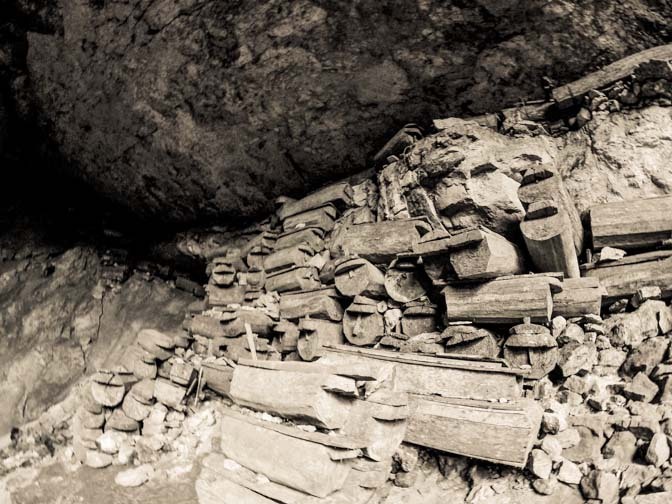 Some of these caves were previously used to bury their dead, and their coffins are still piled near the entrances. The coffins in these caves, as well as the hanging coffins, are very small due to the deceased being placed in fetal position upon burial. Exploring one of the caves through the Cave Connection. As uncomfortable as that may seem, they believe that the dead should leave the world in the same position as when they entered it. 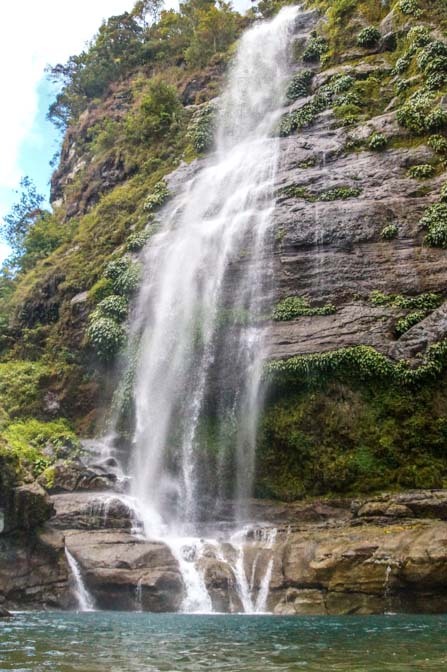 Besides the endless miles of hiking trails, beautiful sites and landscapes, and the breath-taking Kiltepan sunrise viewpoint, there was also fresh and amazing food. The menu was dependent upon the available produce, as everything was freshly picked in the mountains surrounding the village, and nothing was ever wasted. A few times we were woken up around 4am to a pig’s piercing squeal. The view from our window at this hour made us eyewitnesses to the true freshness being sold across the street. 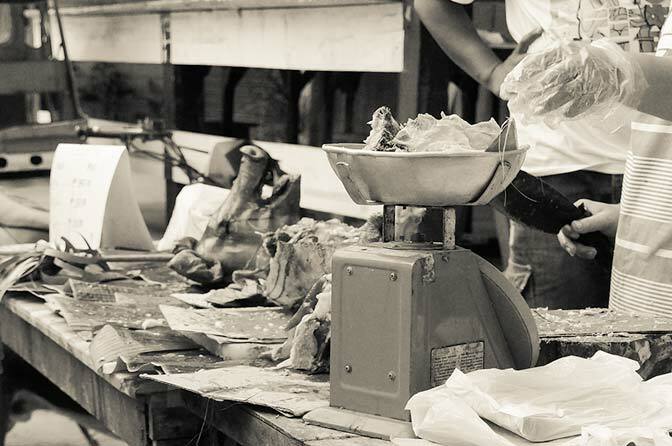 Fresh pork being sold daily. We even had the option to pick out our very own live native chicken, name it, pet it, hold it, and then decide how to cook it. Everything was fresh and delicious. 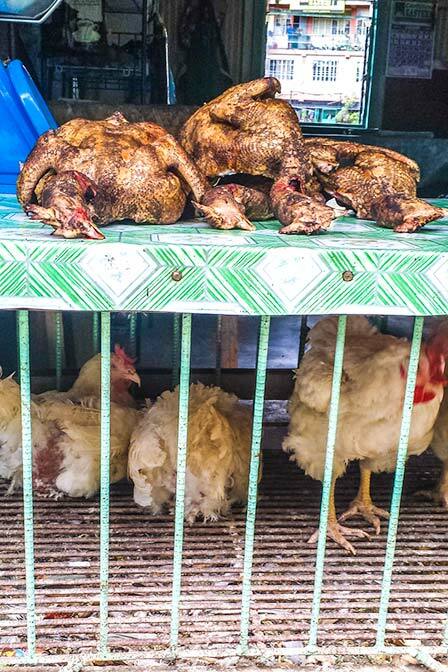 We also had the option of this fatter ‘raised for butchering’ type of chickens. On our last day in Sagada, we were able to take in part of a parade from the Sagada Etag Festival. It seemed like overnight this small, quiet village became alive with people, costumes, music, and endless stands selling homemade foods, clothing, and trinkets. It was fun to be able to experience even a small part of this celebration before departing. 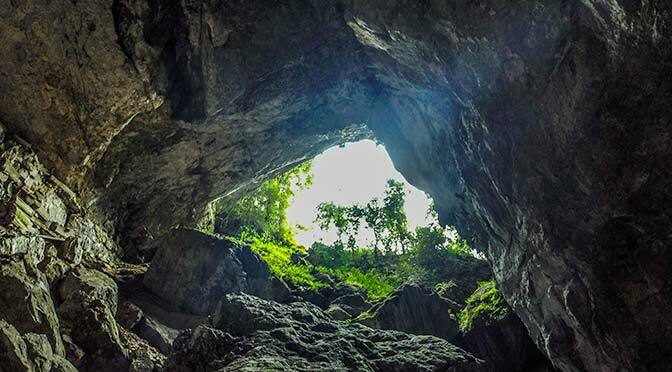 Cave Connection is the name of one of the many networks of caves in Sagada, Philippines. 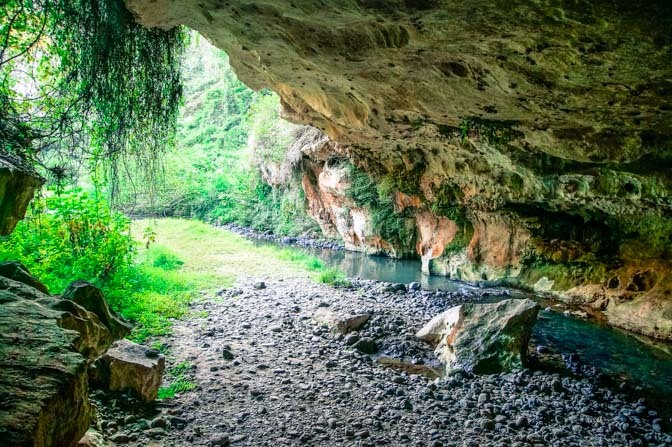 The goal is to start at the beginning of one cave and come out the end of a different cave. We were warned that it could take over three hours to complete the maze with a guide, depending upon our abilities. 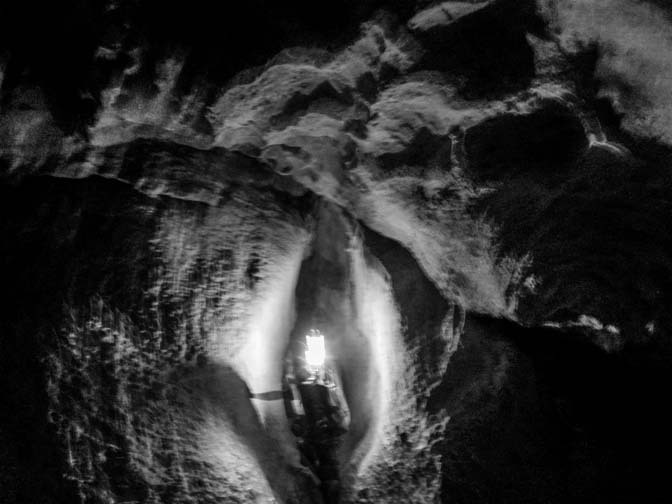 Using only one small lantern for light, we climbed through the cave using ropes to help maneuver over large boulders as well as our hands and knees to crawl between tight rocks. We also walked through pools of water, squeezed our bodies through tiny crevices, got dirty, and loved it. Some of the openings in the cave were smaller than I thought we could possibly fit through. But amazingly, we did. The pungent odor of guano left by the thousands of bats provided some extra motivation. Needless to say, the whole cave experience was awesome. 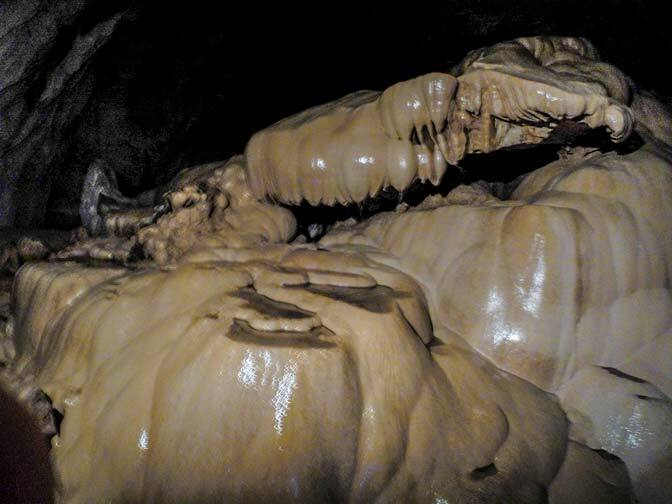 See below for a short video clip of our caving adventure.